This vinyl gate in Huntington Beach, CA allows the client to have privacy, but still see visitors since it's built in the Montauk style. 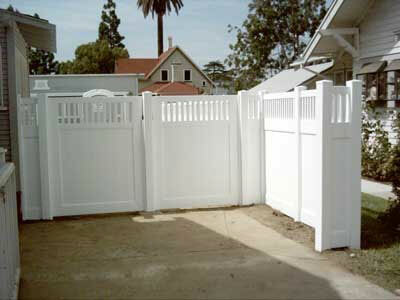 Country Estate Fence installed this vinyl gate in Anaheim, CA. 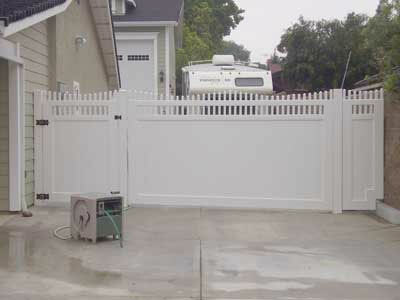 This residential gate installation features a solid gate to provide privacy from neighbors. 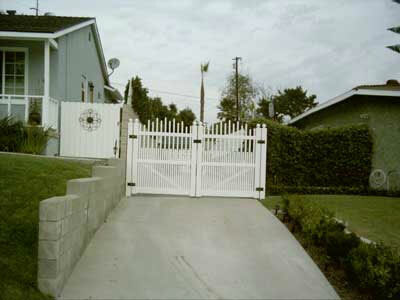 This gate installation in Orange, CA features a Montauk style vinyl double gate. This client chose to get a double gate so they can have the option of using one gate or both. 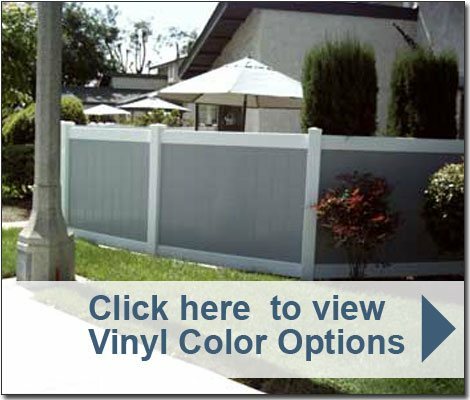 We installed this vinyl gate in Costa Mesa, CA. 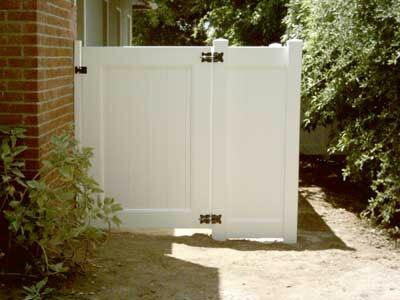 This simple solid gate was designed to be wide enough so the client could move their trash cans through easily. 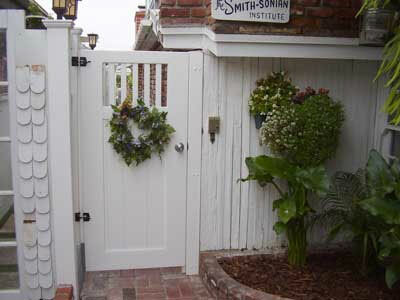 This gate installation in Santa Ana, CA was completed for a client who wanted complete privacy. This basic solid vinyl gate perfectly fit their needs. 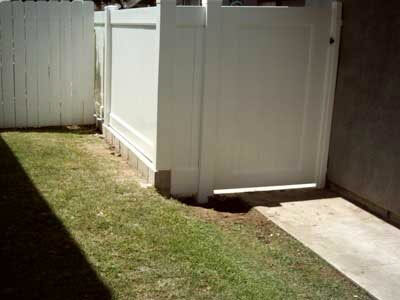 We installed this vinyl gate and fence in Foothill Ranch, CA. 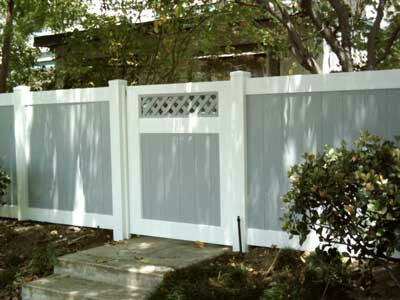 The vinyl gate and fence were built in the hollingsworth style and feature a grey and white color scheme. 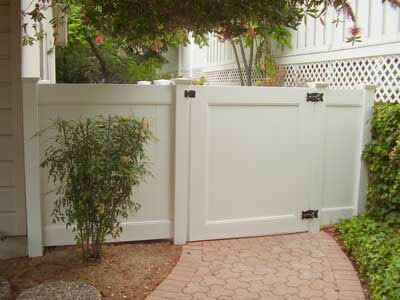 Country Estate Fence completed a double gate installation in Westminster, CA. This vinyl double gate was built in the Dawson style and allows the client to park their car in the driveway. We installed this Montauk style vinyl gate in Aliso Viejo, CA for a client who needed a gate large enough for their RV to get through as well as a smaller gate to use so the bigger gate doesn't always have to be opened.